The president has invited Judah Samet, who survived the Holocaust and the mass shooting at the Tree of Life Synagogue in Pittsburgh in October 2018 that killed 11 people, as well as Timothy Matson, a member of the Pittsburgh Police Department SWAT team, which responded to the shooting. Trump has invited several other people, including family members of Gerald and Sharon David, a Nevada couple who were killed in their home in January by an illegal immigrant; Matthew Charles, who was sentenced in 1996 to 35 years in prison for selling crack cocaine, among other charges, and was released in January as a result of Trump's prison reforms; and Elvin Hernandez, a special agent with the Trafficking in Persons Unit of the Department of Homeland Security’s Homeland Security Investigations division. 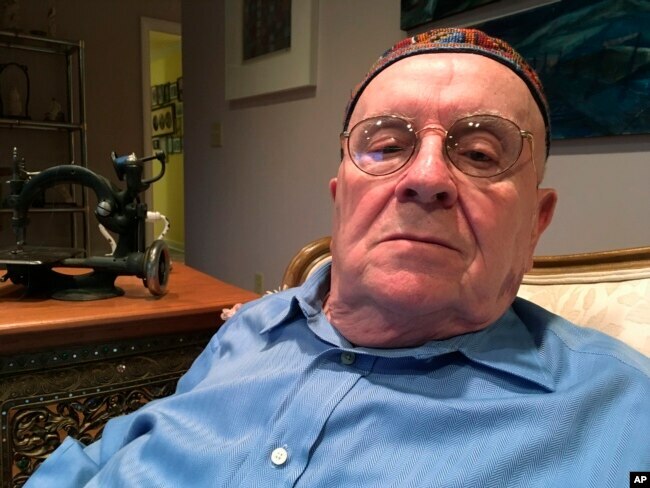 In this Monday, Oct. 29, 2018 photo, Holocaust survivor Judah Samet, 80, sits in his living room in Pittsburgh. Republican Scott’s guest for the State of the Union address is Andrew Pollack, whose daughter Meadow was one of 17 people killed in the 2018 Parkland, Florida, school shooting. Scott, who was the governor of Florida when the shooting took place, appointed Pollack to Florida's education board. However, Scott’s successor, Republican Governor Ron DeSantis, rescinded that appointment along with dozens of others made by Scott. 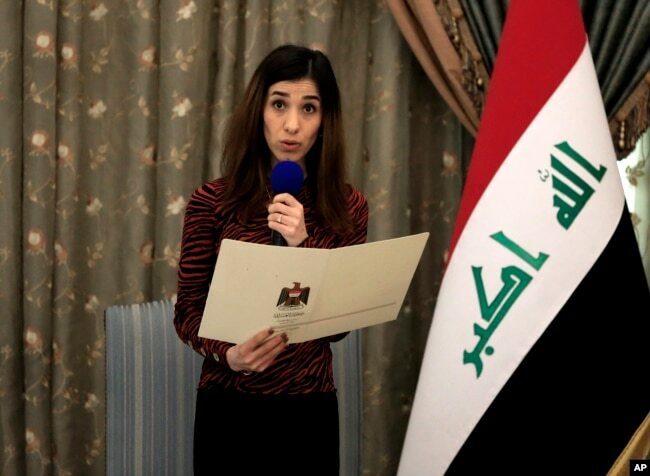 Nobel Peace Prize recipient Nadia Murad, speaks during a meeting with her country's President Barham Salih and other dignitaries, in Baghdad, Iraq, Wednesday, Dec. 12, 2018.